It's the new way of selling that offers a quick sale and added security, but at what cost? HOA looks at the modern method of auction. With the number of failing house sales on the rise, and more than a third (34%) falling through in the last three months, a new type of e-bay style online auction (known in the property world as the modern method of auction) offers an alternative to the nightmare of a property chain. The modern method of auction allows buyers to bid on a property online and will have a longer completion timescale, giving the buyer time to sort mortgage finance, unlike a traditional auction. Once the online hammer falls, the buyer must pay a substantial non-refundable reservation fee. Also known as a ‘conditional auction’, it’s beginning to make a significant impact, particularly in areas such as the North East, the West Midlands and parts of inner London where properties are sticking on the market. The auction management provider IAM Sold says it saw a record-breaking first quarter of the year, with 854 lots sold. This compares with 632 lots for the same period in 2017. Almost half (41%) of buyers were purchasing for their own occupation. But what safeguards do these buyers and sellers have? And who’s really benefitting here – the consumer or the estate agents and auction houses? HOA has been investigating and can report some potential pitfalls. How do these auctions work? Held online rather than in a traditional saleroom, the modern method looks tempting at first sight. Often, properties are priced low to sell, it all happens quickly and both buyer and seller face financial penalties if either pulls out. The practice has been spearheaded by proptech advances which support interactive auctions. Properties are displayed for sale with an auction ‘timer’, usually set for 30 days. Buyers register and place their bids. At the end of the auction period, the highest bid wins. To secure the property, a reservation fee is paid immediately. Then the sale has 56 days in which to exchange and complete, allowing purchase with a mortgage if required. This is a much longer timeframe than with a traditional saleroom auction and is billed as one of the plus-points. Sellers are attracted because it happens with minimal cost to them. Although the sold price achieved at auction will generally be less than on the open market, the outlay is shouldered by the buyer, who may overlook this aspect at the prospect of a bargain. So, what’s not to like? Well, the practice is coming under fire because it can be difficult to understand. It allows estate agents and auction platforms free rein to set the reservation fee. Our investigation suggests some high-street agents are still getting to grips with how this works. This must be paid upfront by the winning bidder at the auction’s close by debit or credit card or bank transfer and can be anything upwards of 2.5% + VAT. There is usually a minimum reservation fee of at least £5,000 + VAT. Buyers are obliged to have this reservation fee ready and waiting; it can’t be part of any mortgage funds because of the time-scale. It’s non-refundable if the buyer decides to withdraw. And it doesn’t usually form part of the overall price paid; it’s an add-on which goes straight to the auctioneers and estate agent. People who think they’re getting a bargain may find themselves stung to the tune of several thousand pounds when they realise that paying the reservation fee is not like putting a deposit on a holiday. In addition, there may be other costs, such as an extra £180-200 for a Buyers Information Pack. The big issue is that it’s split between auction house and estate agent. Even if it’s shared equally, agents stand to make more of a profit than they would by selling on a traditional commission basis, particularly on lower-price properties. At HOA we think that many buyers and sellers aren’t aware of this. Ironically, there is potentially less work for an estate agent as there will be no chain involved. There are similarities with the unfair ‘sale by tender’ or ‘sale by informal tender’ method we campaigned against. With this, the prospective buyer is required to hand over a ‘finder’s fee’ of up to 2% + VAT. Unlike sellers who can choose who will help them sell their property and can negotiate, buyers are not in a position to negotiate the fee. Yet again, we’re concerned that estate agents are milking buyers for profit. For a sole agency, commission-based sales contract, HOA recommends sellers should aim for an estate agent’s fee of no more than 1% + VAT. So on a £100,000 property an agent would make just £1200 including VAT. 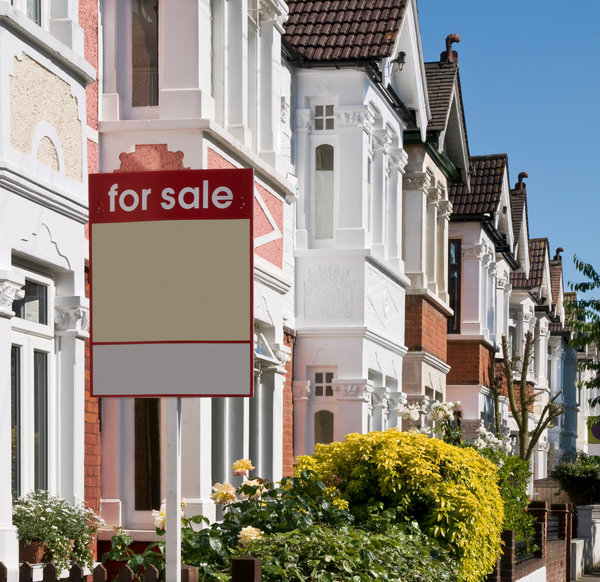 They may be able to supplement their income by selling other services such as conveyancing and mortgages and make a referral fee of this, but government is stamping down on this practice by requiring estate agents to be upfront with their fee. In comparison, there’s a ground-floor studio apartment for sale by the modern method of auction in Dudley, West Midlands. The starting bid is £48,000. The mandatory reservation fee is 4.2% (incl VAT), but at a minimum of £6,000 (incl VAT). If this property sells for its guide price, the estate and online auction company stand to make a shared commission of 12.5% on the sale. The property would have to sell at three times more than the guide price for the commission to be 4.2%. Or what about a two-bedroomed terrace house in Wolverhampton, on the market for £69,500? The reservation fee is also £6,000 (incl VAT), making a shared commission of 8.63% on a guide price sale. Here are some other examples we found. All figures include VAT. The property details suggest it’s ideally suited for the first-time buyer yet there is no tenure information (whether leasehold or freehold). Estate agents are required to provide this information as a minimum. Apparently in this case, the fees are paid by the seller, but this is not clear. The buyer must abide by the conditions set out in the reservation form but the buyer is encouraged to place a bid without seeing the reservation form and what they are legally committing to. If a property is in need of significant repair, in a less-than-popular area or generally proving difficult to offload, the modern method of auction offers a quick way to secure a sale for the seller. At HOA, we are concerned that desperate sellers could be taken advantage of by unscrupulous estate agents who push them to auction. Because the buyer pays upfront fees they will factor this cost into their bid. So the seller might end up with lower offers than via the traditional route, even with costs to the estate agent factored in. And what if the sale falls through? Although auction companies say that they financially verify buyers, they are not required to provide proof of funds at the reservation stage. If the worst happens, the next prospective buyer, knowing what the seller was prepared to accept at auction, won’t be inclined to offer anything higher. So the seller loses out twice; firstly on the eventual sale price achieved and secondly because they may end up paying either commission or a fixed fee to the selling agent after all. The seller must also pay for the auction pack, which includes the title plan and register or evidence of title, local authority searches, water and drainage search, property information questionnaire and a fixtures and fittings list. With Fine & Country, for example, an estate agency which sells at auction through IAM Sold, the seller must pay £150 for an auction pack and when the property has sold, there is a further £120 administration charge. Thinking of going down the on-line auction route? Check out our consumer guide on buying and selling with online property platforms. Have you bought or sold using the modern method of auction? We’d be interested to hear your views and experiences. Please get in touch at hello@hoa.org.uk. We are currently at auction with iamsold. We were misled with what happens to the reservation fee. We were led to believe part went to the agent , part went to the auction house and the rest went to us the seller ,as part of the sale price. At 4.2 % of offers over £490k this is a substantial amount. We have now found out that we get non of it so the purchaser of our property has to pay £20,000 plus to the auction for the pleasure of buying our property. Of course this is having a negative effect on prospective buyers, in fact we are having to turn offers down that if we were selling in the normal fashion with an estate agent we could have sold weeks ago. We are also concerned that if someone pulls out after paying the fee who gets paid ? It appears only the agents not us for the inconvenience . We are devistated at the way we are losing sales and of course our new home. My advice is don’t do it through the modern auction method unless you have money to burn. We are pensioners and fell foul to an agent who talked the talk and who now will walk with our hard earned money. Excellent article! I am an Estate agent and I think the modern method is quite disgusting.My job is to achieve the best possible price for the seller but that will not happen by the modern method because all the buyer does is to knock the £6,000 off the figure they are going to offer. ie If I was buying this way and say thought the price should be say £80,000 I would only bid £74,000 to allow the rip off £6,000.The seller is the looser.I can’t understand why this is going on. For the last couple of years I have been stating that this so called modern auction method should be outlawed by the government. Being in Yorkshire I regularly see properties sold for say Forty/ Fifty thousand pounds under this method. Sellers are induced into putting a low reserve on their property, to secure a five thousand pound commission for the agents. As your tables above show, agents are receiving up to 17 to 20 % commission as against a normal fee of 1 to 1 1/2 percent. value as people like myself will set a auction price value less a further six thousand pound. fifty thousand. A loss of ten thousand pound to the seller. Had I been the purchaser of this example property through a normal estate agent I may have offered up to fifty six thousand, the same cost to me as through the modern auction method. Ten to fifteen properties at three thousand pounds each is not bad money bearing in mind that the local agent is rarely showing the property as it is done online. The government should put a stop to this rip off method and stop these rip off auctioneers from profiteering.